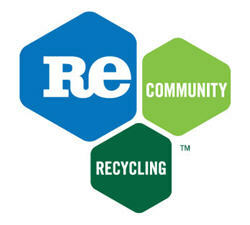 ReCommunity is investing $15 million to repurpose the existing 64,000 square foot building, and install state-of-the-art sorting equipment within the Delaware Recycling Center (DRC), in New Castle, Del., to process recyclable aluminum, plastics, paper, cardboard, tin and glass collected throughout the state. ReCommunity has signed a 20-year agreement with the Delaware Solid Waste Authority (DSWA) to operate a state-of-the-art automated recycling facility that will serve the entire state of Delaware. The recycling, recovery and repowering company is focused on dramatically reducing the volume of land-filled waste through conversion into useful products such as recycled commodities, low-carbon energy, engineered feedstock, bio-fuels and other value-added recycled products. “When DSWA reviewed the proposals for green industries at the DRC, it was clear ReCommunity was a leader in the recycling industry, but what was most impressive about them was their commitment to Delaware and the surrounding community,” said Pat Canzano DSWA CEO. DSWA currently assembles the recyclable materials collected in the state at one of two transfer stations and then transports the material to ReCommunity’s Materials Recovery Facilities (MRFs) located in Pennsylvania, New Jersey and other MRFs in the surrounding area. This facility will keep the recycling in the state, creating up to 80 new jobs in Delaware. ReCommunity has taken over management of the DRC and plans to begin upgrading the facility in the next 90 days. The new MRF is scheduled to open in early 2013 and will employ up to 80 workers in two shifts. As a direct result of the State Universal Recycling Law (SB 234) championed by Governor Jack Markell and sponsored by Senator David McBride and Representative Mike Mulrooney, Delaware has created an environment which encourages private investment in the environmental businesses sector of the economy. “We appreciate ReCommunity’s commitment to our community and to putting people to work in Delaware. We look forward to their success and growth here,” said Governor Jack Markell. The new facility will use “Single Stream” technology, the latest in MRF technology. It allows communities to collect recyclable materials using single bins inside homes and businesses as well as a single collection vehicle, reducing the costs and carbon emissions of recycling collection fleets. By making recycling easier, and expanding the list of acceptable materials, residents and business in communities across the United States have recycled 15 - 30 percent more material. At full capacity, ReCommunity Delaware will recover material that will prevent 399,426 metric tons of carbon dioxide-equivalent greenhouse gases (CO2e) from being emitted annually, which is equivalent to removing 79,158 cars from the road each year. It will also save 169,195 cubic yards of landfill space and avoid 1,473,093 gallons of wastewater from getting into landfills. Once the materials arrive at the MRF, ReCommunity automatically sorts them into their various commodities, and bales them for shipment to other companies that convert the materials into new products. Old newspapers can be converted into paper products and home insulation, aluminum cans are made into new cans, plastics are recycled into new plastic products, and glass is sized into synthetic aggregate or color sorted for re-melt into new glass. “Delaware is rapidly emerging as a national leader in recycling, demonstrating that environmental stewardship and economic prosperity can go hand-in-hand," said Colin O’Mara, secretary of Department of Natural Resources and Environmental Control. "Through this state-of-the-art facility, DSWA and ReCommunity will reduce material going to landfills, create well-paying jobs, and support new market opportunities for entrepreneurs."